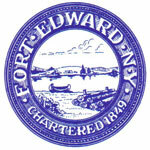 As Mayor of the Village of Fort Edward, I would like to welcome you to our website. I am proud to serve as your mayor, as well as working with my fellow trustees and staff to enhance public safety, promote economic development, and provide quality community services and programs. Proud, deep and rich in American history, Fort Edward played a major role in the French and Indian wars and also was significant in the American Revolution. Another key piece of our history is Rogers Island, the site where Major Robert Rogers wrote the “Ranging Rules” which still today form the basis of military tactics adopted by irregular fighting forces all over the world. Today, Fort Edward has the advantage of being located on the Hudson River (and Champlain Canal), located near Highway I-87 and having major railroad access, all while still being able to retain the historic and country charm of a rural community. We hope to capitalize on these assets and continue rebuilding our community. In the coming year, we will face challenges and also will have very significant opportunities. Please join me in working to ensure that Fort Edward seizes the opportunities which will benefit Fort Edward and the surrounding communities of Washington County. I invite you to explore our website to access Village information, as well as, links to school, county, chamber and other public websites. We welcome your comments and suggestions on how to improve the website to meet your needs. Always know that the Village Board is dedicated to providing the best possible quality of life while creating a healthy, vibrant community in which to live, work and visit.